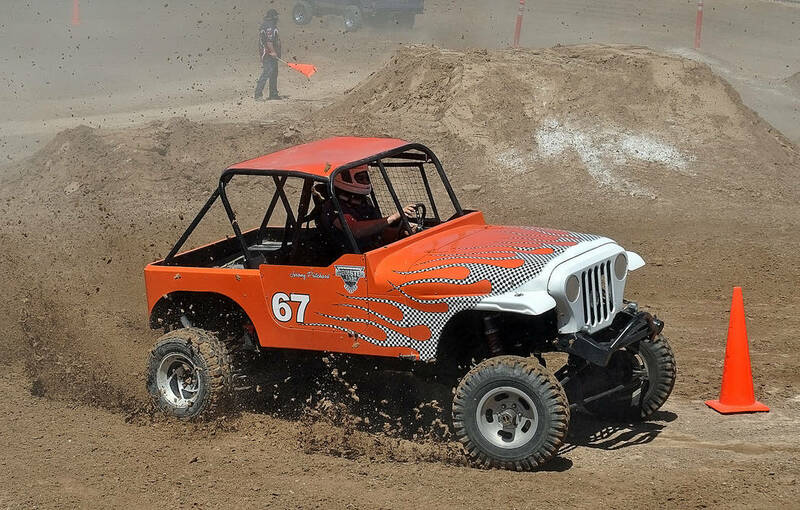 Horace Langford Jr./Pahrump Valley Times The Monster Truck Insanity Tour will return to Pahrump's McCullough Arena on April 19 and 20. The event drew 2,500 people for two shows last spring. Horace Langford Jr./Pahrump Valley Times Jeromy Pritchard in freestyle racing during last year's Monster Truck Insanity Tour show at McCullough Arena at Petrack Park in Pahrump. 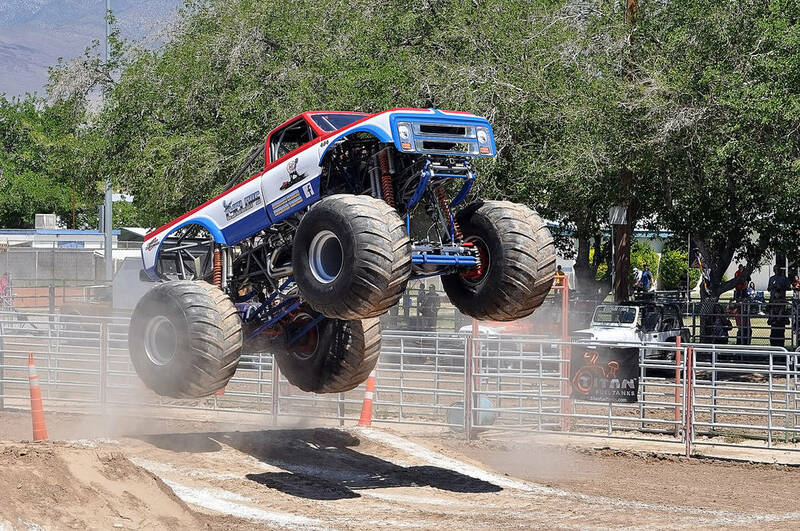 For the second consecutive year, the Monster Truck Insanity Tour will stop at McCullough Arena at Petrack Park in Pahrump. The success of last year’s show at McCullough convinced Skyler Neibaur, the CEO of Live A Little Productions, to bring back the show, which will be April 19 and 20. Neibaur is hoping to exceed last year’s attendance, and the company has pulled out all the stops to make the show as appealing as possible to a large audience. Each day will include an autograph pit party at 5:30 p.m., with the main show beginning at 7 p.m. Patrons can save money by buying tickets in advance. At presale, adult tickets are $20, kids ages 3 to 12 are $10 and kids 2 and under get in free. At the gate, those tickets will cost $25 for adults and $12 for kids. Neibaur said officials in Pahrump have helped make the show possible. Tickets are available at the Pahrump Chamber of Commerce and www.livealittleproductions.com. For more information, visit the website or call 1-888-490-1990.